Author: Armstrong, Karen Set In . . . Description: Venerated for millennia by three faiths, torn by irreconcilable conflict, conquered, rebuilt, and mourned for again and again, Jerusalem is a sacred city whose very sacredness has engendered terrible tragedy. 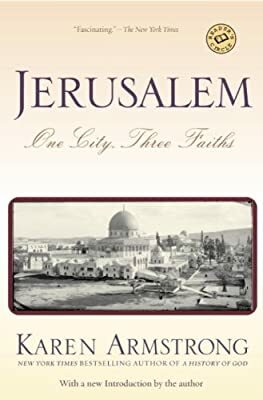 In this fascinating volume, Karen Armstrong, author of the highly praised A History of God, traces the history of how Jews, Christians, and Muslims have all laid claim to Jerusalem as their holy place, and how three radically different concepts of holiness have shaped and scarred the city for thousands of years.